Dry Dandruff Plus – Recurrent Flakes – Treatment | 490ml / 16.5 fl. oz. This formula is specially indicated for those persons, women and men, that suffer persistent dandruff and itchiness along the time. This is due for different reasons, internal and external factors and the result is an inflammation in the scalp. Dandruff is a condition that appears due to the accelerated creation of epidermis cells in the scalp. 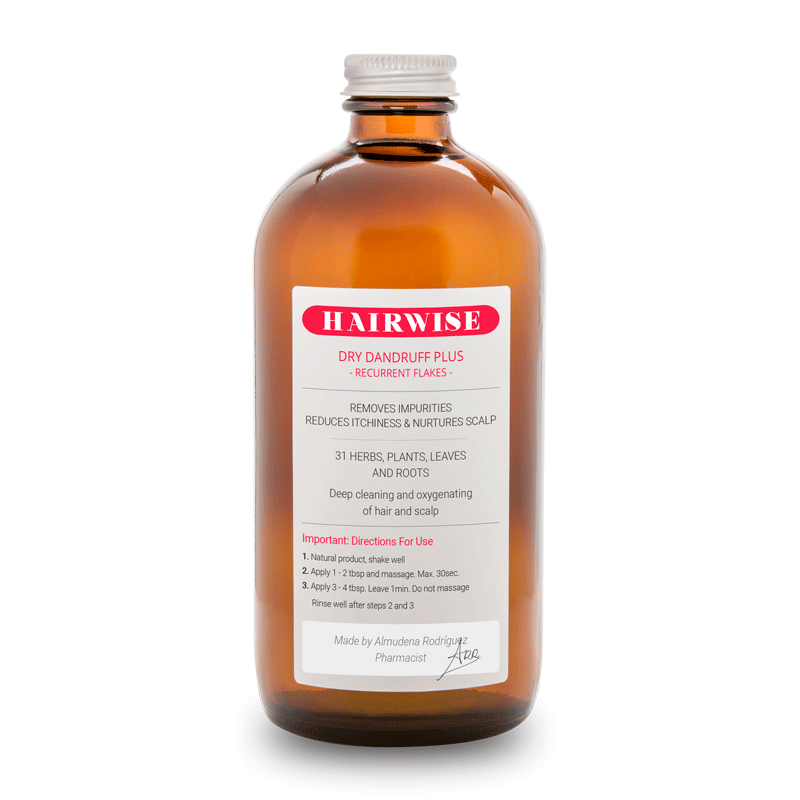 This accelerated regeneration happens over 7 to 10 days against the 21 days that should take in a healthy scalp. The symptoms and development of dry dandruff differs from regular dandruff in the scalp’s condition. In oily dandruff, flakes will remain in the scalp due to the presence of seborrhea, when in dry dandruff, scalp will look dry and hair dull, flakes will fall from hair onto the shoulders, creating a embarrassing feeling and situation for the person that is suffering from this condition. Both are soothing formulas with Triple-Action Complete Hair Detox. 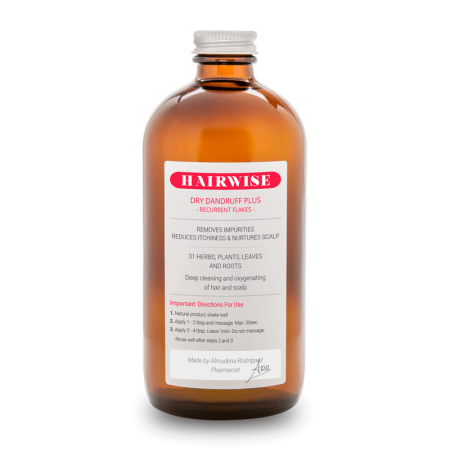 They relief the scalp inflammation and itchiness while cleansing flakes presence and nurturing the scalp to bring back balance to your hair. The most remarkable differences between – Occasional Flakes vs Recurrent Flakes – are the active ingredients present in them. Which is in different amounts to reduce inflammation and increase rehydrating agents in the scalp.